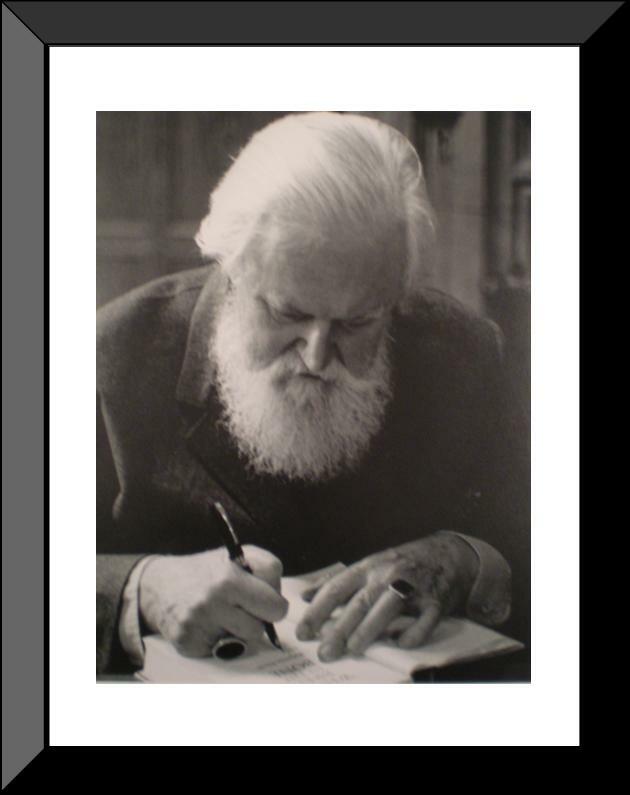 I received many wonderful gifts from family and friends this Christmas and I have much for which to be thankful.Â But my in-laws outdid themselves with this amazing photograph of one of my literary heroes, Robertson Davies.Â The photo shows Davies at a booksigning at Upper Canada College (which he attended from 1926-32), likely back in 1985, when his novel What’s Bred in the Bone was originally published. 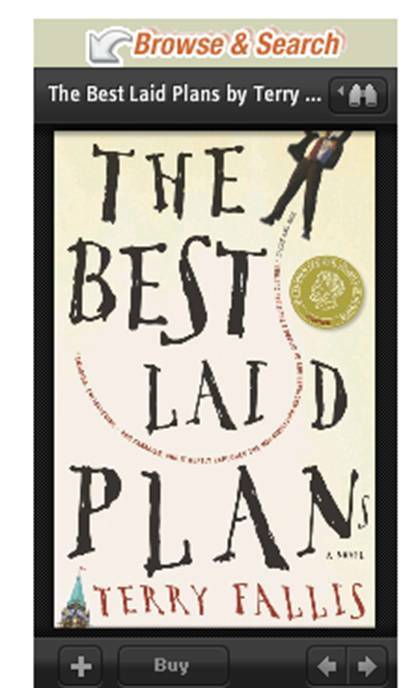 Robertson Davies is quite simply one of Canada’s most gifted writers with an unsurpassed love and mastery of the English language.Â In the pantheon of Canadian letters, he is a charter resident.Â While he came into the world in 1913, I truly believe he should have been born 50 years earlier.Â His writing, while exploring quite contemporary themes, seems of an earlier age when language served to inspire and not just communicate.Â He died in early December 1995 and I will never forget attending his memorial service at Convocation Hall (University of Toronto).Â Many luminaries spoke including Margaret Attwood, John Kenneth Galbraith, and Davies’ editor and publisher Douglas Gibson.Â Yes the same Douglas Gibson whom I’m honoured is now my editor and publisher.Â It was an amazing memorial service filled with amusing stories and memories of a life well-lived.Â Robertson Davies won the Leacock Medal in 1955 for Leaven of Malice (part of the Salterton Trilogy).Â For me, one of the most deeply satisfying and humbling aspects of winning the Leacock this year is seeing my name on a list that also includes Robertson Davies.Â It still makes my knees weak and wobbly just to think of it. 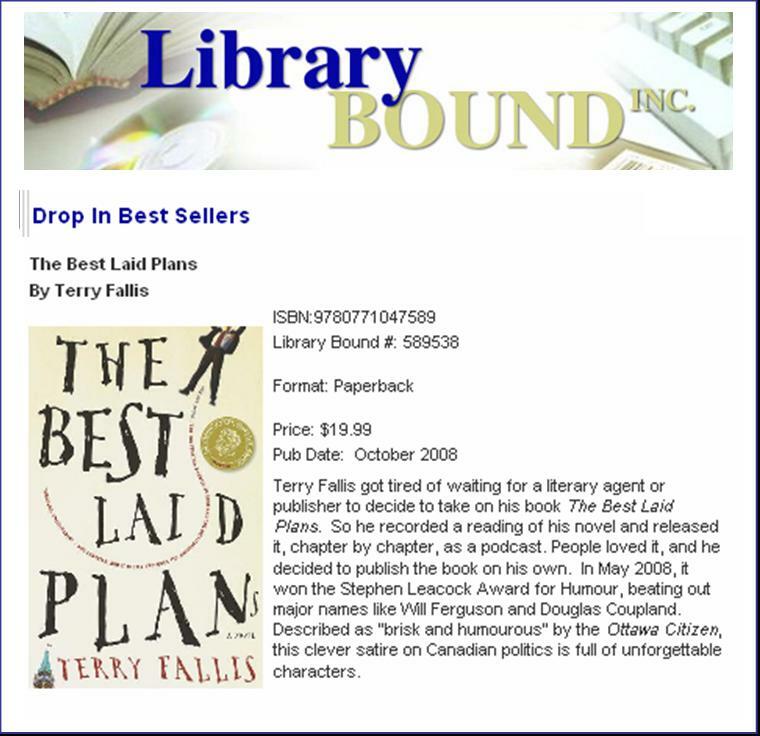 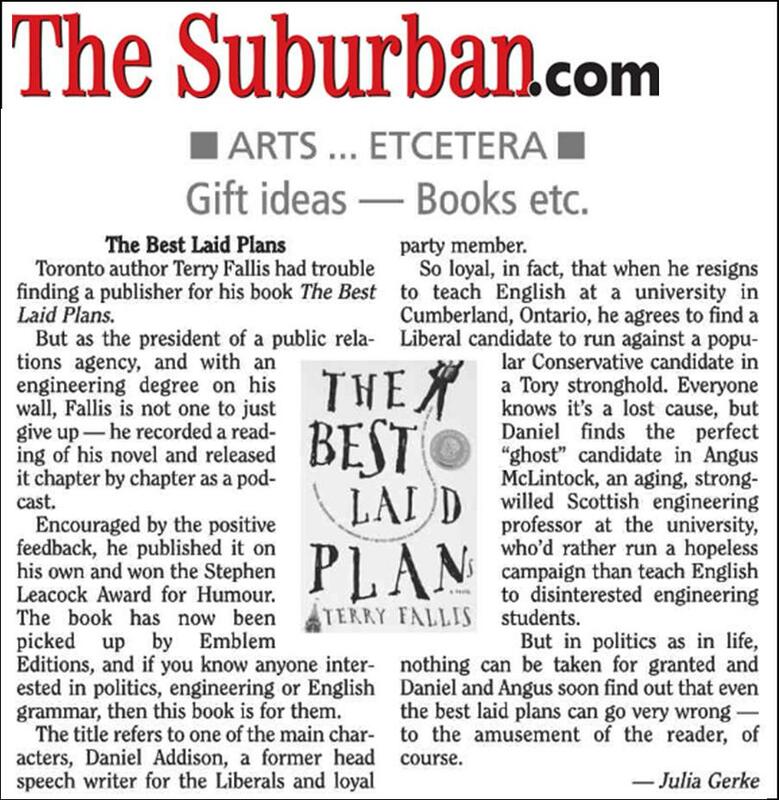 Quebec’s largest weekly newspaper, The Suburban, ran a nice little piece in early December about TBLP.Â I did a phone interview with Julia Gerke when I was in Montreal back in October, and this article is the result.Â Nice.